MOUNTAIN VIEW, California, August 15, 2013 (ENS) – Google’s self-confessed obsession with building energy efficient data centers and buying renewable energy has paid off. 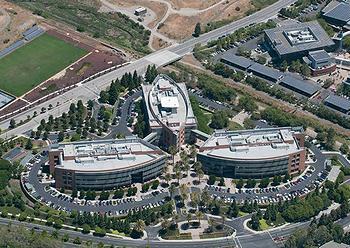 The search engine giant announced Tuesday that it reduced its carbon footprint by nine percent in 2012. But its recent funding of right-wing climate deniers has undermined its reputation as a green corporation. Jolanka Nickerman, Google’s “Carbon Czarina,” blogs that in 2012 Google emitted 1.5 million metric tons of carbon dioxide, before purchasing high-quality carbon offsets to reduce that footprint to zero. “Our total carbon emissions decreased 9% compared to the previous year because we’re now deducting our green power purchases from our carbon footprint,” she wrote. Google is deducting renewable energy purchases in line with new reporting guidance from the Carbon Disclosure Project, an organization in the United Kingdom that works with shareholders and corporations on disclosure of their greenhouse gas emissions. Serving an active Google user for one month is like driving a car one mile, writes Nickerman. To serve that user, Google emits about eight grams of carbon per day. For this calculation, Google number crunchers assumed that an active Google user is someone who does 25 searches and watches 60 minutes of YouTube a day, has a Gmail account and uses the company’s other services. Google buys renewable energy for its operations. To date the company has signed power purchase agreements for over 330 megawatts of wind power in the United States and Europe. Joe Kava, vice president, Google Data centers, announced late last month that Google is the first company in North America to obtain a multi-site ISO 50001 certification for its energy management system, from the ISO, the International Organization for Standardization, which develops and publishes a variety of international standards. Google’s ISO 50001 certification covers corporate data center operations in Mountain View and six U.S. data centers across the country. 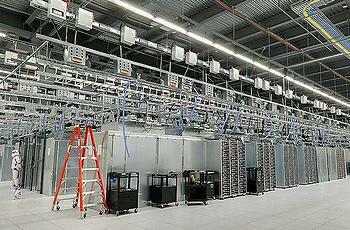 Kava says in the coming months Google plans to expand its ISO 50001 certification to include its European data centers. Nickerman says Google is also helping its app users to reduce their carbon footprints. Google’s reputation for environmental accountability was compromised last month when the company hosted a fundraiser for climate denier Senator James Inhofe, an Oklahoma Republican. Inhofe has claimed that climate change is a “hoax,” and has said, “CO2 does not cause catastrophic disasters … actually, it would be beneficial to our environment and the economy.” He has attempted to block legislation that would reduce the carbon footprint of the United States and has traveled to international climate negotiations just to denounce them. On July 11, activists from two groups, Forecast the Facts and Greenpeace, delivered a petition with 10,000+ signatures to Google’s Washington headquarters during the lunchtime fundraiser, and held a protest there. Since then the activists have gathered 150,000 signatures on the petition, but Google has not received the petition. Instead the company declined to accept it on two occasions. Far from giving up, activists showed up at Google’s July 31 launch party for the Moto X phone, calling on Google to immediately stop funding climate change deniers. With these political moves Google contradicts its carbon footprint reduction efforts. The company appears to be going in two different directions at once.